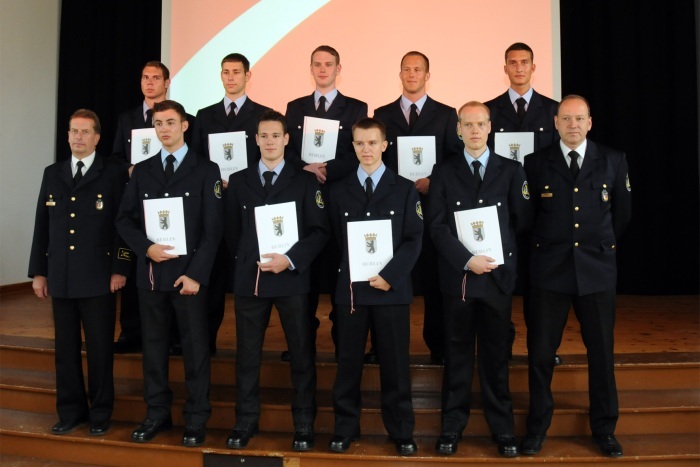 The Berlin Fire Department is striving to increase the number of immigrants among its employees, and because of this, an interesting field of work for immigrants becomes accessible. The Fire Department gains valuable potential because multicultural teams can optimize operations, based on their language skills and their cultural understanding. “Operation Berlin“ had the task of testing an additional possibility of access to the Berlin Fire Department: Multi-phase training. School leavers with an intermediate secondary school leaving certificate, but without a completed vocational education, will be trained as fire-fighters for the fire service (fire officer). The innovative aspect is that no skilled trade certificate is needed – normally obligatory for the traditional application. The actual fire-fighter training (level 2) is preceded by a tailor-made 18-month basic skilled-craft training (level 1), which combines modules from various skilled trades. With the BGZ responsible, a fundamental concept for the development of public relations and networking has been agreed. An extensive network of autonomous migrant organisations and institutions, whose focus groups are immigrants, has been developed step by step. 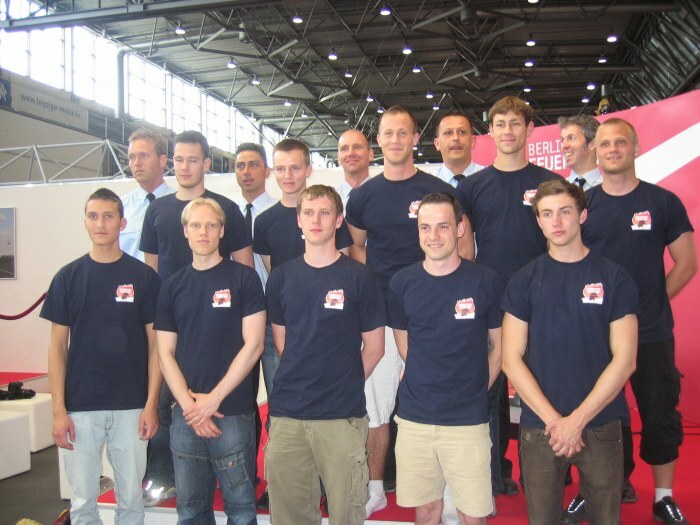 As future authority, the Berlin Fire Department was involved from the very beginning, particularly in the mentor programme and the execution of the selection process. 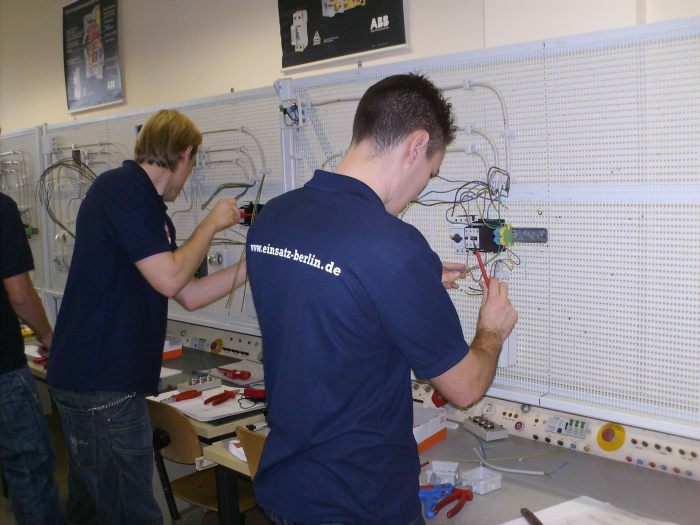 The Berlin Chamber of Small Business and Skilled Crafts (HWK) is responsible for the 18-month basic skilled-craft training in three runs with certified modules of the HWK in the areas of woodwork, metalwork, electronics and plumbing and automotive – including internships – as well as for additional German, mathematics and physical education classes. A strategic advisory Board supports the project implementation. Young people without vocational education can now start training for the fire service through the multi-phase training scheme. The Berlin Senate consequently changed the legal requirements for the fire service regulation in June 2009. This project has been funded by the State of Berlin – Senate Department for Interior and Sport – and coordinated by the BGZ Berlin International Cooperation Agency GmbH in cooperation with the Berlin Fire Department, Press and Public Relations Headquarters and Berlin Chamber of Small Business and Skilled Crafts.